Not to be confused with Lunar eclipse. For the date of the next eclipse see the section Recent and forthcoming solar eclipses. A partial eclipse occurs when the Sun and Moon are not exactly in line with the Earth and the Moon only partially obscures the Sun. This phenomenon can usually be seen from a large part of the Earth outside of the track of an annular or total eclipse. However, some eclipses can only be seen as a partial eclipse, because the umbra passes above the Earth's polar regions and never intersects the Earth's surface. Partial eclipses are virtually unnoticeable in terms of the sun's brightness, as it takes well over 90% coverage to notice any darkening at all. Even at 99% it would be no darker than civil twilight. Of course, partial eclipses (and partial stages of other eclipses) can be observed if one is viewing the sun through a darkening filter (which should anyhow be used for safety). The Moon's orbit around the Earth is an ellipse, as is the Earth's orbit around the Sun. The apparent sizes of the Sun and Moon therefore vary. The magnitude of an eclipse is the ratio of the apparent size of the Moon to the apparent size of the Sun during an eclipse. An eclipse that occurs when the Moon is near its closest distance to Earth (i.e., near its perigee) can be a total eclipse because the Moon will appear to be large enough to completely cover the Sun's bright disk, or photosphere; a total eclipse has a magnitude greater than 1. Conversely, an eclipse that occurs when the Moon is near its farthest distance from Earth (i.e., near its apogee) can only be an annular eclipse because the Moon will appear to be slightly smaller than the Sun; the magnitude of an annular eclipse is less than 1. Slightly more solar eclipses are annular than total because, on average, the Moon lies too far from Earth to cover the Sun completely. 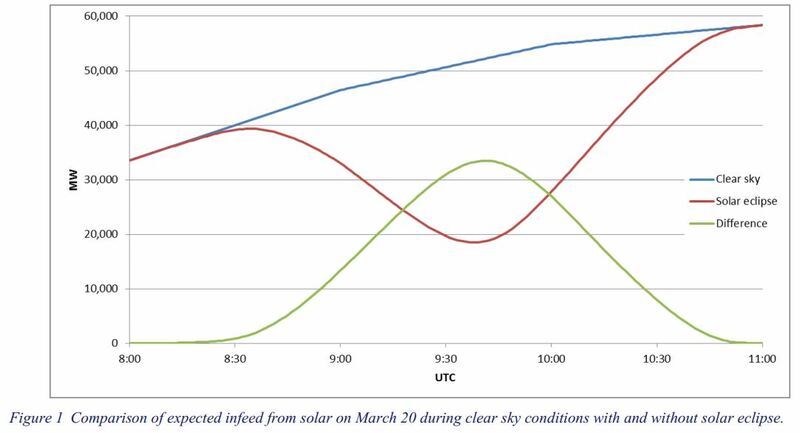 A hybrid eclipse occurs when the magnitude of an eclipse changes during the event from less to greater than one, so the eclipse appears to be total at some locations on Earth and annular at other locations. Because the Earth's orbit around the Sun is also elliptical, the Earth's distance from the Sun similarly varies throughout the year. This affects the apparent size of the Sun in the same way, but not as much as does the Moon's varying distance from Earth. When Earth approaches its farthest distance from the Sun in July, a total eclipse is somewhat more likely, whereas conditions favour an annular eclipse when Earth approaches its closest distance to the Sun in January. 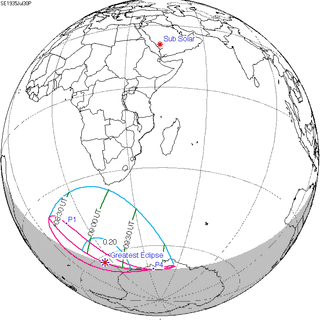 Central eclipse is often used as a generic term for a total, annular, or hybrid eclipse. This is, however, not completely correct: the definition of a central eclipse is an eclipse during which the central line of the umbra touches the Earth's surface. 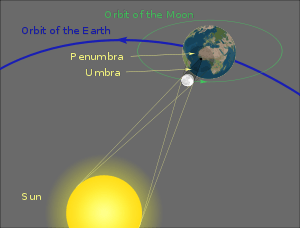 It is possible, though extremely rare, that part of the umbra intersects with the Earth (thus creating an annular or total eclipse), but not its central line. This is then called a non-central total or annular eclipse. 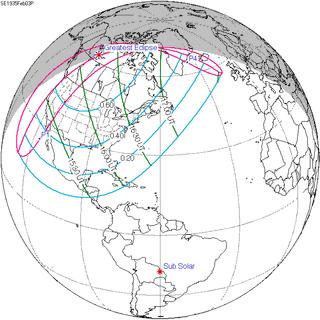 The last non-central solar eclipse was on April 29, 2014. This was an annular eclipse. The next non-central total solar eclipse will be on April 9, 2043. The diagrams to the right show the alignment of the Sun, Moon and Earth during a solar eclipse. 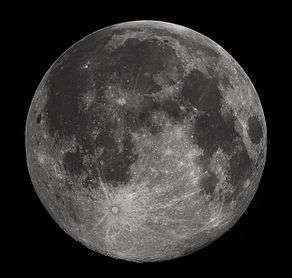 The dark gray region between the Moon and Earth is the umbra, where the Sun is completely obscured by the Moon. 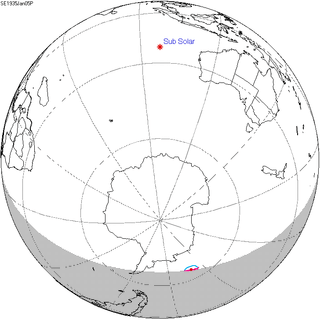 The small area where the umbra touches Earth's surface is where a total eclipse can be seen. The larger light gray area is the penumbra, in which a partial eclipse can be seen. 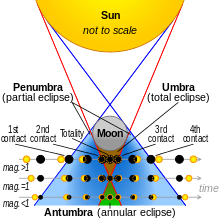 An observer in the antumbra, the area of shadow beyond the umbra, will see an annular eclipse. The Moon orbits the Earth in approximately 27.3 days, relative to a fixed frame of reference. This is known as the sidereal month. However, during one sidereal month, Earth has revolved part way around the Sun, making the average time between one new moon and the next longer than the sidereal month: it is approximately 29.5 days. This is known as the synodic month, and corresponds to what is commonly called the lunar month. Finally, the Moon's perigee is moving forwards or precessing in its orbit, and makes a complete circuit in 8.85 years. The time between one perigee and the next is slightly longer than the sidereal month and known as the anomalistic month. 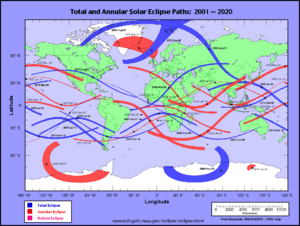 Total Solar Eclipse Paths: 1001–2000, showing that total solar eclipses occur everywhere on Earth. This image was merged from 50 separate images from NASA. Total solar eclipses are rare events. Although they occur somewhere on Earth every 18 months on average, it is estimated that they recur at any given place only once every 360 to 410 years, on average. The total eclipse lasts for only a maximum of a few minutes at any location, because the Moon's umbra moves eastward at over 1700 km/h. Totality currently can never last more than 7 min 32 s. This value changes over the millennia and is currently decreasing. By the 8th millennium, the longest theoretically possible total eclipse will be less than 7 min 2 s. The last time an eclipse longer than 7 minutes occurred was June 30, 1973 (7 min 3 sec). 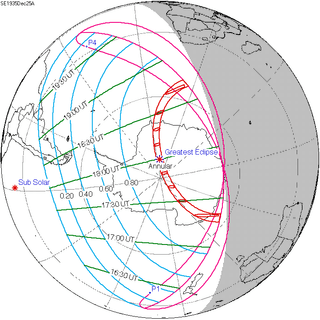 Observers aboard a Concorde supersonic aircraft were able to stretch totality for this eclipse to about 74 minutes by flying along the path of the Moon's umbra. The next total eclipse exceeding seven minutes in duration will not occur until June 25, 2150. 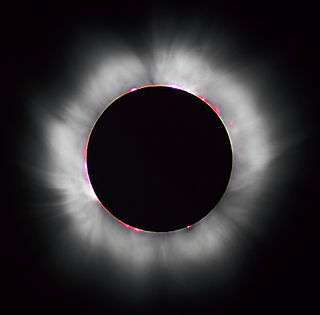 The longest total solar eclipse during the 11,000 year period from 3000 BC to at least 8000 AD will occur on July 16, 2186, when totality will last 7 min 29 s. For comparison, the longest total eclipse of the 20th century at 7 min 8 s occurred on June 20, 1955 and there are no total solar eclipses over 7 min in duration in the 21st century. Total solar eclipses are seen on Earth because of a fortuitous combination of circumstances. Even on Earth, the diversity of eclipses familiar to people today is a temporary (on a geological time scale) phenomenon. Hundreds of millions of years in the past, the Moon was closer to the Earth and therefore apparently larger, so every solar eclipse was total and there were no annular eclipses. Over a billion years in the future, the Moon will be too far away to fully occlude the Sun, and no total eclipses will occur. Due to tidal acceleration, the orbit of the Moon around the Earth becomes about 2.2 cm more distant each year. It is estimated that, in slightly less than 1.4 billion years, the distance from the Earth to the Moon will have increased by 30,400 km. 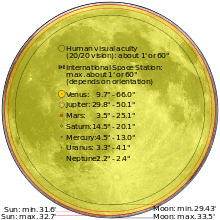 During that period, the apparent angular diameter of the Moon will decrease in size, meaning that it will no longer be able to completely cover the Sun's disk as seen from the Earth. This will be true even when the Moon is at perigee, and the Earth at aphelion. 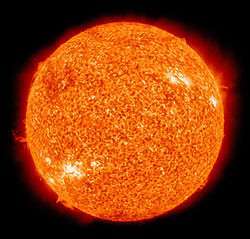 Moreover, the Sun is increasing in diameter by about 5% per billion years. Therefore, the last total solar eclipse on Earth will occur about six hundred million years from now. Historical eclipses are a very valuable resource for historians, in that they allow a few historical events to be dated precisely, from which other dates and ancient calendars may be deduced. A solar eclipse of June 15, 763 BC mentioned in an Assyrian text is important for the Chronology of the Ancient Orient. There have been other claims to date earlier eclipses. The King Zhong Kang supposedly beheaded two astronomers, Hsi and Ho, who failed to predict an eclipse 4,000 years ago. Perhaps the earliest still-unproven claim is that of archaeologist Bruce Masse, who putatively links an eclipse that occurred on May 10, 2807 BC with a possible meteor impact in the Indian Ocean on the basis of several ancient flood myths that mention a total solar eclipse. The first known telescopic observation of a total solar eclipse was made in France in 1706. Nine years later, English astronomer Edmund Halley observed the solar eclipse of May 3, 1715. By the mid-19th century, scientific understanding of the Sun was improving through observations of the Sun's corona during solar eclipses. The corona was identified as part of the Sun's atmosphere in 1842, and the first photograph (or daguerreotype) of a total eclipse was taken of the solar eclipse of July 28, 1851. Spectroscope observations were made of the solar eclipse of August 18, 1868, which helped to determine the chemical composition of the Sun. Viewing the Sun during partial and annular eclipses (and during total eclipses outside the brief period of totality) requires special eye protection, or indirect viewing methods, if eye damage is to be avoided. 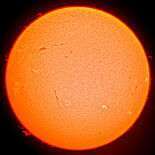 The Sun's disk can be viewed using appropriate filtration to block the harmful part of the Sun's radiation. Sunglasses do not make viewing the Sun safe. Only properly designed and certified solar filters should be used for direct viewing of the Sun's disk. Especially, self-made filters using common objects such as a floppy disk removed from its case, a Compact Disc, a black colour slide film, smoked glass, etc. must be avoided. The safest way to view the Sun's disk is by indirect projection. This can be done by projecting an image of the disk onto a white piece of paper or card using a pair of binoculars (with one of the lenses covered), a telescope, or another piece of cardboard with a small hole in it (about 1 mm diameter), often called a pinhole camera. 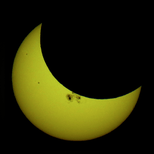 The projected image of the Sun can then be safely viewed; this technique can be used to observe sunspots, as well as eclipses. Care must be taken, however, to ensure that no one looks through the projector (telescope, pinhole, etc.) directly. Viewing the Sun's disk on a video display screen (provided by a video camera or digital camera) is safe, although the camera itself may be damaged by direct exposure to the Sun. The optical viewfinders provided with some video and digital cameras are not safe. Securely mounting #14 welder's glass in front of the lens and viewfinder protects the equipment and makes viewing possible. Professional workmanship is essential because of the dire consequences any gaps or detaching mountings will have. In the partial eclipse path, one will not be able to see the corona or nearly complete darkening of the sky, however, depending on how much of the Sun's disk is obscured, some darkening may be noticeable. If three-quarters or more of the sun is obscured, then an effect can be observed by which the daylight appears to be dim, as if the sky were overcast, yet objects still cast sharp shadows. Photographing an eclipse is possible with fairly common camera equipment. In order for the disk of the Sun/Moon to be easily visible, a fairly high magnification long focus lens is needed (at least 200 mm for a 35 mm camera), and for the disk to fill most of the frame, a longer lens is needed (over 500 mm). As with viewing the Sun directly, looking at it through the viewfinder of a camera can produce damage to the retina, so care is recommended. The observation of a total solar eclipse of May 29, 1919 helped to confirm Einstein's theory of general relativity. By comparing the apparent distance between stars in the constellation Taurus, with and without the Sun between them, Arthur Eddington stated that the theoretical predictions about gravitational lenses were confirmed. The observation with the Sun between the stars was only possible during totality, since the stars are then visible. Though Eddington's observations were near the experimental limits of accuracy at the time, work in the later half of the 20th century confirmed his results. There is a long history of observations of gravity-related phenomena during solar eclipses, especially around totality. In 1954, and again in 1959, Maurice Allais reported observations of strange and unexplained movement during solar eclipses. This phenomenon is now called the Allais effect. Similarly, in 1970, Saxl and Allen observed the sudden change in motion of a torsion pendulum; this phenomenon is called the Saxl effect. Artificial satellites can also pass in front of the Sun as seen from the Earth, but none is large enough to cause an eclipse. At the altitude of the International Space Station, for example, an object would need to be about 3.35 km (2.08 mi) across to blot the Sun out entirely. These transits are difficult to watch, because the zone of visibility is very small. The satellite passes over the face of the Sun in about a second, typically. As with a transit of a planet, it will not get dark. 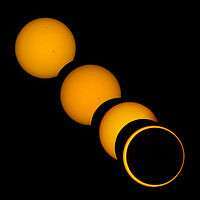 Eclipses only occur in the eclipse season, when the Sun is close to either the ascending or descending node of the Moon. Each eclipse is separated by one, five or six lunations (synodic months), and the midpoint of each season is separated by 173.3 days, which is the mean time for the Sun to travel from one node to the next. The period is a little less than half a calendar year because the lunar nodes slowly regress. Because 223 synodic months is roughly equal to 239 anomalistic months and 242 draconic months, eclipses with similar geometry recur 223 synodic months (about 6,585.3 days) apart. This period (18 years 11.3 days) is a saros. Because 223 synodic months is not identical to 239 anomalistic months or 242 draconic months, saros cycles do not endlessly repeat. Each cycle begins with the Moon's shadow crossing the earth near the north or south pole, and subsequent events progress toward the other pole until the Moon's shadow misses the earth and the series ends. Saros cycles are numbered; currently, cycles 117 to 156 are active. ↑ "Transit of Venus, Sun-Earth Day 2012". nasa.gov. Retrieved February 7, 2016. ↑ Brewer, Bryan (January 14, 1998). "What Causes an Eclipse?". Earth View. Retrieved January 14, 2012. 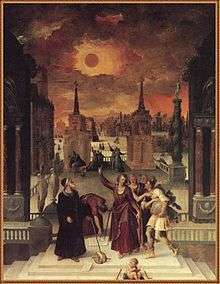 ↑ "How do eclipses such as the one on Wednesday 14 November 2012 occur?". Sydney Observatory. Retrieved 20 March 2015. 1 2 3 Meeus, J. (December 2003). "The maximum possible duration of a total solar eclipse". Journal of the British Astronomical Association. 113 (6): 343–348. Bibcode:2003JBAA..113..343M. Retrieved 22 December 2013. ↑ Espenak, Fred (March 24, 2008). "World Atlas of Solar Eclipse Paths". NASA Goddard Space Flight Center. Retrieved January 15, 2012. ↑ Espenak, Fred (August 28, 2009). "Eclipses and the Saros". NASA Goddard Space Flight Center. Retrieved January 15, 2012. ↑ Pogo, Alexander (1935). "Calendar years with five solar eclipses". Popular Astronomy. 43: 412. Bibcode:1935PA.....43..412P. ↑ Ribas, Ignasi (February 2010). "The Sun and stars as the primary energy input in planetary atmospheres". Solar and Stellar Variability: Impact on Earth and Planets, IAU Symposium. Proceedings of the International Astronomical Union. 264. 3–18. arXiv:0911.4872 . Bibcode:2010IAUS..264....3R. doi:10.1017/S1743921309992298. 1 2 3 4 5 Espenak, Fred. "Solar Eclipses of Historical Interest". NASA Goddard Space Flight Center. Retrieved December 28, 2011. ↑ Schaefer, Bradley E. (May 1994). "Solar Eclipses That Changed the World". Sky and Telescope. 87 (5): 36–39. Bibcode:1994S&T....87...36S. 1 2 3 4 5 Stephenson, F. Richard (1982). "Historical Eclipses". Scientific American. 247 (4): 154–163. Bibcode:1982SciAm.247..154S. 1 2 Needham, Joseph (1986). Science and Civilization in China: Volume 3. Taipei: Caves Books. pp. 411–413. OCLC 48999277. ↑ Humphreys, C. J.; Waddington, W. G. (1983). "Dating the Crucifixion". Nature. 306 (5945): 743–746. Bibcode:1983Natur.306..743H. doi:10.1038/306743a0. ↑ Espenak, Fred (July 11, 2005). "Eye Safety During Solar Eclipses". NASA Goddard Space Flight Center. Retrieved January 15, 2012. 1 2 "Eclipse Viewing Safety". Perkins Observatory. Retrieved January 15, 2012. 1 2 Littmann, Mark; Willcox, Ken; Espenak, Fred (1999). "The Experience of Totality". MrEclipse.com. Retrieved January 15, 2012. ↑ Dyson, F.W. ; Eddington, A.S.; Davidson, C.R. (1920). 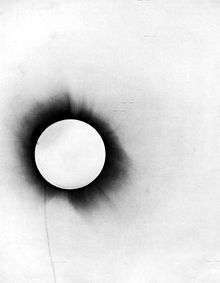 "A Determination of the Deflection of Light by the Sun's Gravitational Field, from Observations Made at the Solar eclipse of May 29, 1919". Phil. Trans. Roy. Soc. A. 220 (571-581): 291–333. Bibcode:1920RSPTA.220..291D. doi:10.1098/rsta.1920.0009. ↑ Saxl, Erwin J.; Allen, Mildred (1971). "1970 solar eclipse as 'seen' by a torsion pendulum". Physical Review D. 3 (4): 823–825. Bibcode:1971PhRvD...3..823S. doi:10.1103/PhysRevD.3.823. ↑ Wang, Qian-shen; Yang, Xin-she; Wu, Chuan-zhen; Guo, Hong-gang; Liu, Hong-chen; Hua, Chang-chai (2000). "Precise measurement of gravity variations during a total solar eclipse". Physical Review D. 62 (4): 041101(R). arXiv:1003.4947 . Bibcode:2000PhRvD..62d1101W. doi:10.1103/PhysRevD.62.041101. ↑ Yang, X. S.; Wang, Q. S. (2002). "Gravity anomaly during the Mohe total solar eclipse and new constraint on gravitational shielding parameter". Astrophysics and Space Science. 282 (1): 245–253. Bibcode:2002Ap&SS.282..245Y. doi:10.1023/A:1021119023985. ↑ Meeus, J.; Vitagliano, A. (2004). "Simultaneous transits" (PDF). J. Br. Astron. Assoc. 114 (3): 132–135. Bibcode:2004JBAA..114..132M. Archived from the original (PDF) on July 10, 2007. ↑ "JSC Digital Image Collection". NASA Johnson Space Center. January 11, 2006. Retrieved January 15, 2012.